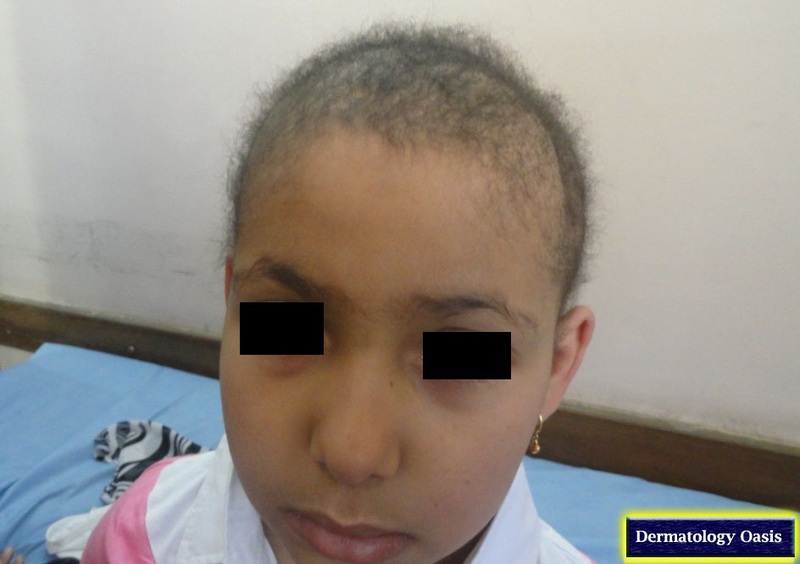 Monilethrix is a congenital hair shaft defect in which the hair shafts have alternate swellings (nodes) and constrictions, producing beaded effect. The hair usually is normal at birth, but in the first months hairs begin to break off 1–2 centimeters above the surface. It is often associated with keratosis pilaris and nail changes; rarely dental anomalies and juvenile cataracts. Spontaneous improvement in puberty or pregnancy sometimes occurs.